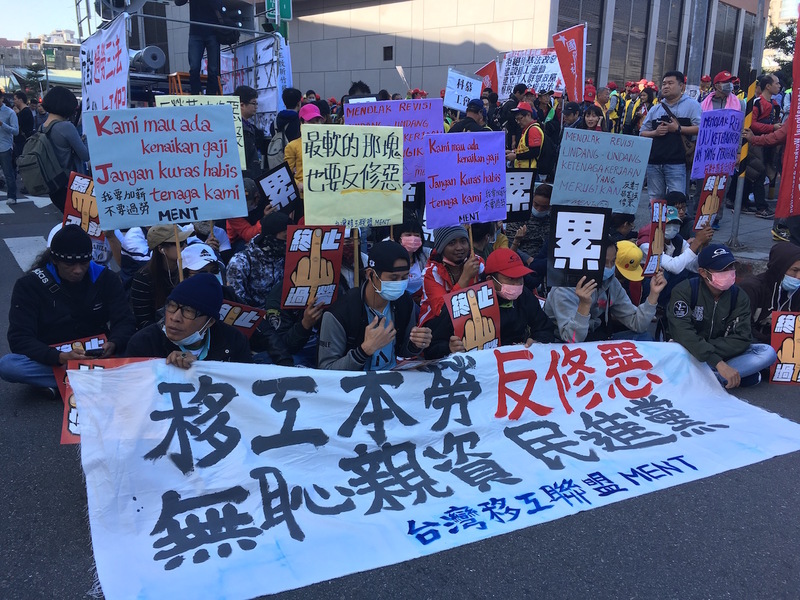 THE PROTESTS against planned labor law changes by the Tsai administration that took place yesterday may end up being remembered as historic for Taiwanese labor, in marking the start of what will be remembered as a new era of labor militancy. There probably has not been any protest as dramatic or intense since the Sunflower Movement, even if protests ended with a number of arrests. Protests began today at noon in front of DPP headquarters and went on until well past midnight. Three hours of speeches and performances took place from noon until 3 PM in front of DPP headquarters, at which point, according to organizers, demonstrators numbered over 10,000. What was distinctive about afternoon protests was the high number of student participants and the numerous, creative artworks that were featured within the protest, including an art installation mocking Tsai Ing-Wen, a satire of the Liberty Times, and Buddhist-themed performance art mocking past comments by Premier William Lai that underpaid workers should see karmic merit through good deeds as making up for their low salaries, comments which had seen previous satirical protest. 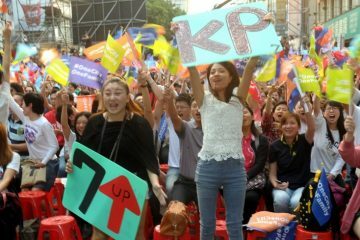 Likely, there was pressure for a larger turnout this time in Taipei, because despite previous protests in Taipei only being a few hundred demonstrators, demonstrations in Kaohsiung earlier this month drew 30,000 individuals. 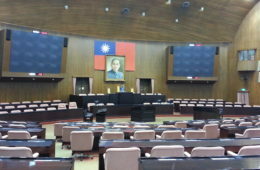 Planned changes to the Labor Standards Act are seen as undoing 30 years of labor reforms in Taiwan. Among other things, they are seen as significantly adding to the number of overtime hours that Taiwanese workers will be made to work, when they already work the world’s fourth longest hours. But notably after demonstrators set off on what was a planned march to the Legislative Yuan at 3 PM, police very quickly declared the gathering to be an illegal one according to the Parade and Assembly Act. Police claimed that this was because demonstrators veered off of their planned path, as reported in their application for a permit to demonstrate, but organizers claim that police deliberately set up the route of the protest in a way that they could very quickly declared the gathering illegal. 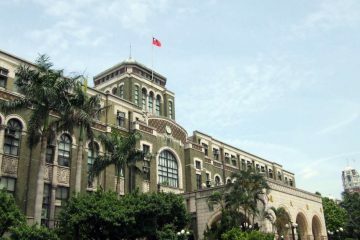 In any case, police may have feared demonstrators attempting to charge the Legislative Yuan, as has taken place in the past. 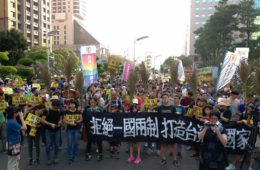 As a result, demonstrators were instead diverted in a direction that they first marched west, in the direction of Taipei Main Station, then decided to double back in the direction of the Legislative Yuan, finally settling on an occupation of the intersection of Zhongxiao West and Zhongshan North and South Road. A similar street occupation took place on December 4th, but, again, this was a different order of magnitude because it was only a few hundred people. 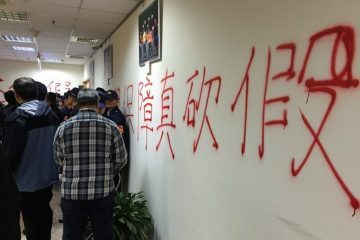 A further escalation was declared at around 6 PM, an attempt to storm the Executive Yuan, a suitable target because Premier William Lai, the head of the Executive Yuan, is blamed for the labor reforms, and because it is directly next to the intersection of Zhongxiao West and Zhongshan North Road. 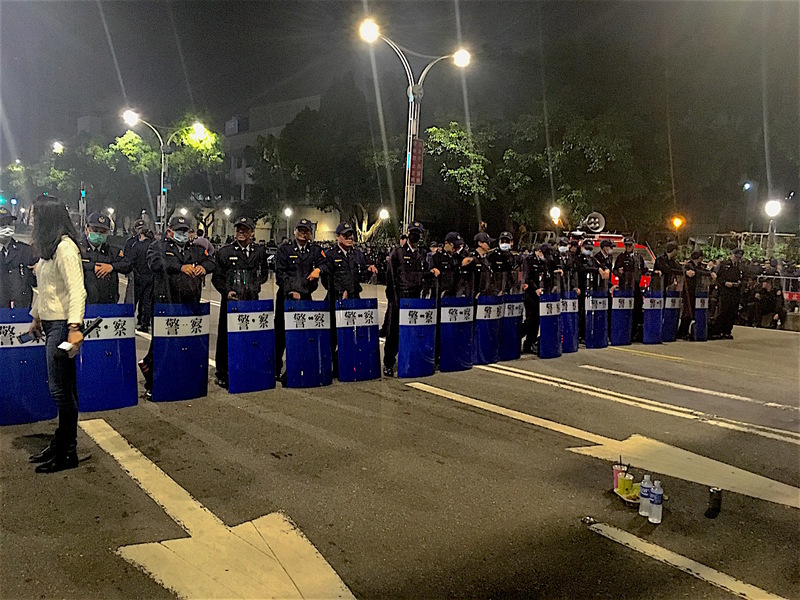 This was not successful in forcing its way past police amassed around the Executive Yuan, with demonstrators being pushed back by police and some injuries. Yet despite the fact that past demonstrations against planned changes to the Labor Standards Act had in the past sometimes started at 9 AM and gone on until 2 AM, following numerous clashes with the police, noted labor activist Mao Chen-fei, who has led many of the attempts to storm government buildings in recent times, attempted to declare the protest over following the failure of the Executive Yuan charge. 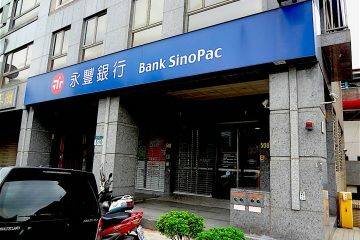 This provoked backlash from demonstrators, leading Mao to insist angrily that by participating in the demonstration, they had agreed to the authority of the demonstrations’ organizers. 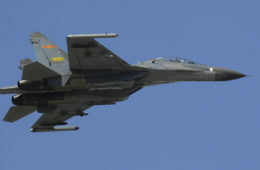 As such, demonstrators lashed out verbally at Mao and demanded further action. 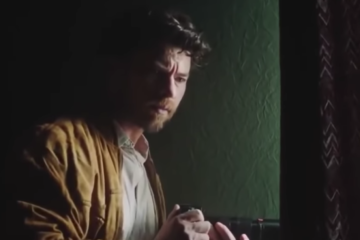 Eventually a compromise was struck, with organizers stating that anyone who wanted to leave could leave, but that they themselves would stick it out until the bitter end with anyone who wanted to stay. After that point, Mao subsequently took a backseat for further actions, even if he remained on-site throughout. 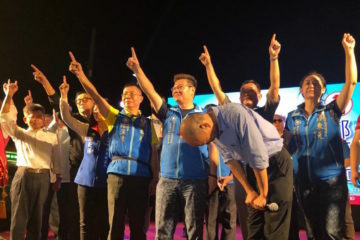 In general, such backlash against the organizers of the protest is ironic, seeing as they themselves were in many cases individuals who had been highly critical of the centralized leadership of the Sunflower Movement, demanding greater participatory democracy in decision-making for the movement on a left-wing basis. 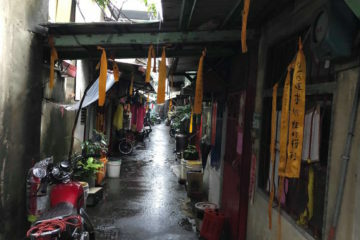 Yet while labor groups and other overtly radical Left activists were confined to the periphery of the Sunflower Movement, organizing primarily through the “Untouchables’ Liberation Area” (賤民解放區) splinter group, they have taken center-stage during current labor protests and unexpectedly found themselves contending with some of the same criticisms that they themselves made of the Sunflower Movement leadership. 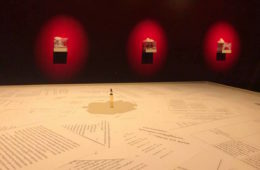 These issues may generally return to the nature of leadership in movements, with it often becoming a controversial issue as to how to balance democracy with the ability to make decisive leadership calls for the movement as a whole which are effective in responding to police actions or other threats. 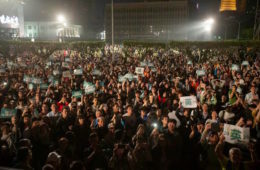 In any case, although some refused to leave after Mao’s call for a withdrawal, many did leave, thinning the numbers of demonstrators dramatically over the next four hours to only several hundred people, who were mostly youth activists, or young members of labor unions. Around 9 PM, police moved to surround those remaining, presumably with the aim of clearing them. However, this had the effect of spurring further action, prompting a sudden march towards Taipei Main Station and an attempt to block all three lanes of traffic of Zhongxiao West Road in front of Taipei Main Station. This was something that had last occurred in late April 2014 after the end of the Sunflower Movement during an attempted street occupation in front of Taipei Main Station against nuclear energy, following which occupiers were finally cleared using water cannons. 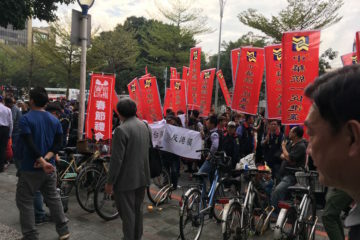 But with the inability to control all three lanes of traffic because of not having enough numbers and police closing in, demonstrators instead started to march in the direction of the 228 Memorial Park on Gongyuan Road, winding through the narrow streets south of Taipei Main Station which are the site of a number of cram schools. Police moved with astonishing speed in these narrow streets, setting up barriers before protesters arrived at intersections in order to try and force protesters into a space where they could surround them, leading to a cat-and-mouse game between police and demonstrators that led to demonstrators moving aimless west through Taipei until they reached Ximending. At this point, demonstrators likely numbered around 500 in number. 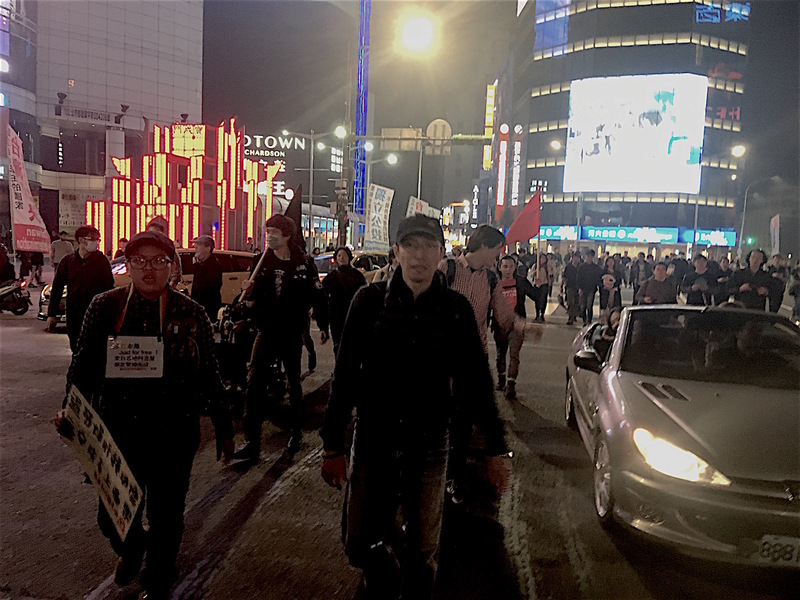 Subsequently, demonstrators attempted to occupy the intersection of Zhonghua Road and Chengdu Road much as they had occupied the intersection of Zhongxiao West and Zhongshan North and South Road. 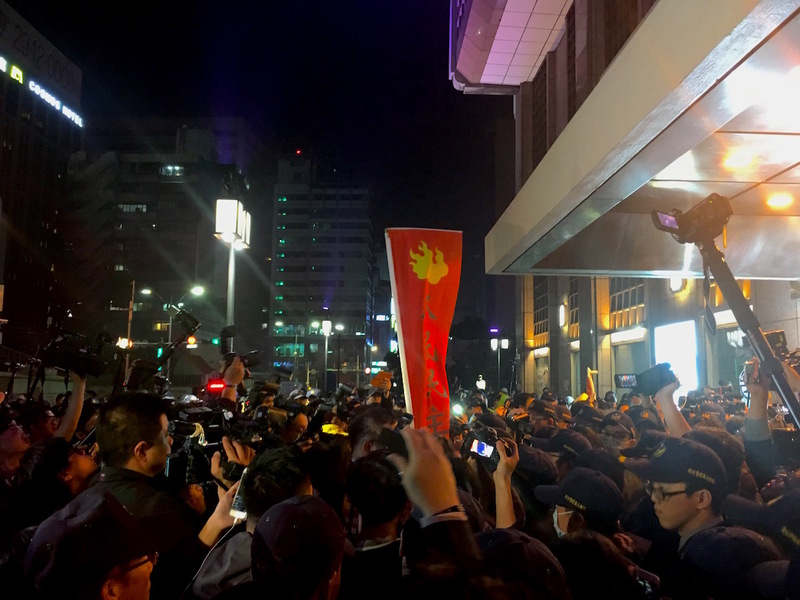 But police action forced them unexpectedly into the streets of the Ximending shopping district, a rare occurrence for social protests in Taiwan, seeing as it was unlikely that police would be able to put up barriers in the crowded commercial district. Apart from being ironic, given that this would be a form of labor suddenly crashing into and disrupting the bubble world high commercialism, this likely had a large beneficial role in spreading word of the demonstration, seeing as many weekend shoppers in Ximending took to filming and livestreaming the demonstration, meaning that it is highly likely that the protest will be highly discussed in the media because it caused such large disruption to the crowded Ximending commercial district. 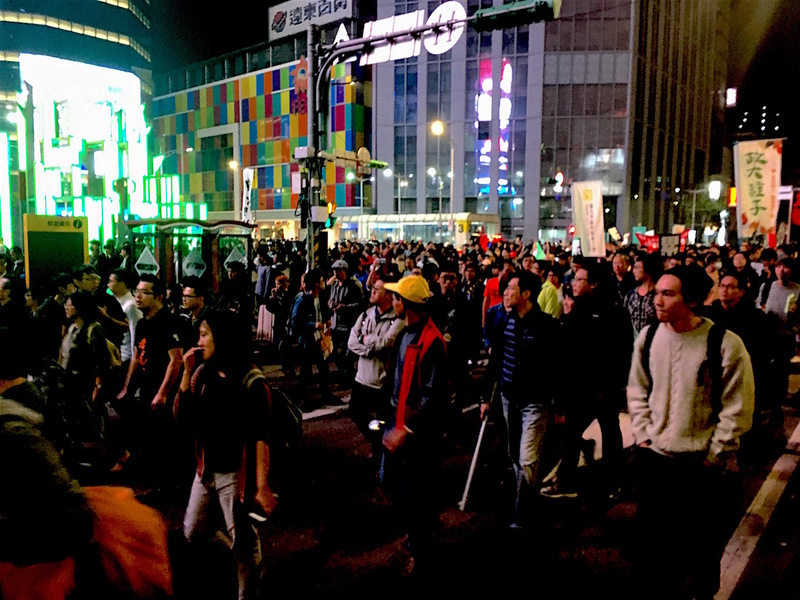 Demonstrators moved west through Ximending and arrived at another large intersection, the intersection of the western section of Zhongxiao West Road and Xining Street. Police action forced further movement, which originally took the form of attempting to move to the traffic roundabout by Beimen, Taipei’s historic northern gate, but riot police blocked this off faster than protesters could arrive, leading protesters to turn back to Zhonghua Road and the Ximending area. 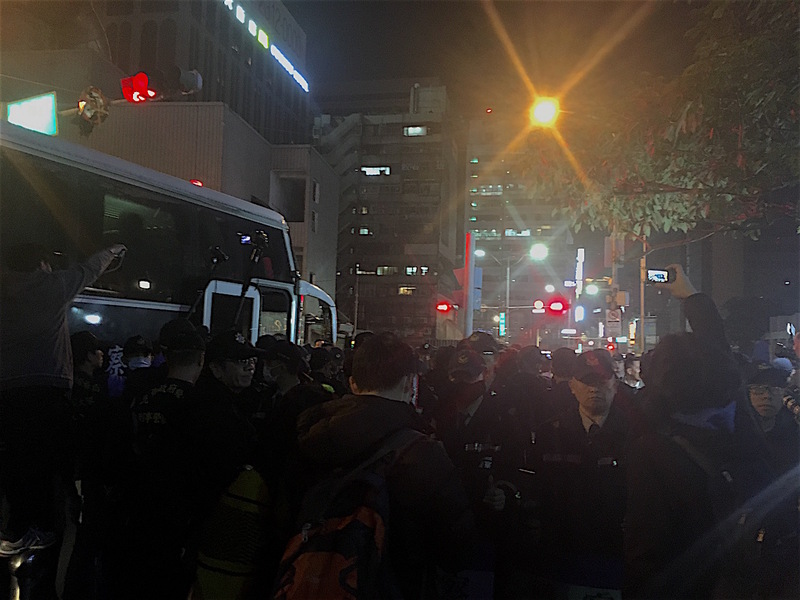 And upon retracing their steps and arriving at Ximending again, they found that police had deployed in the shopping area en masse and they were unable to enter again. 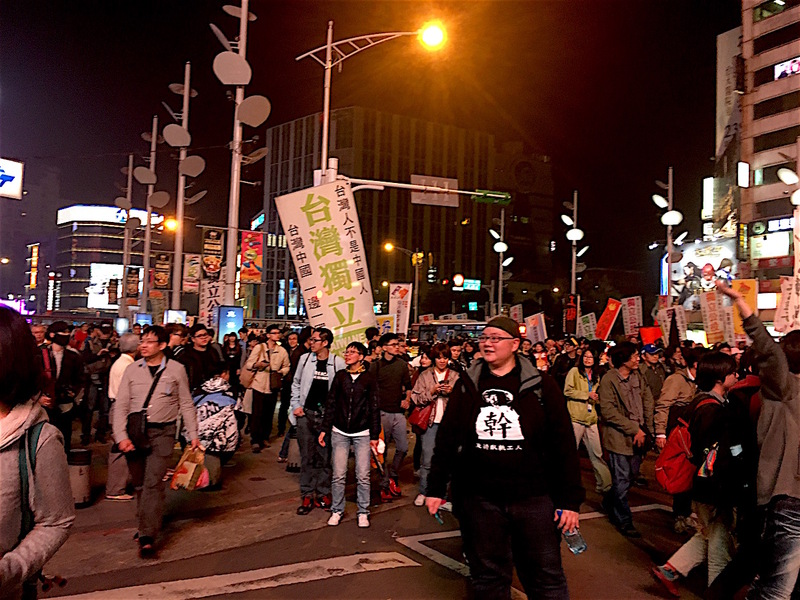 After abortive attempts to start a discussion about what to do next, demonstrators decided to move to Citizens’ Boulevard, one of Taipei’s largest and most crucial roads, and occupying the intersection of Citizens’ Boulevard with Tacheng Street. 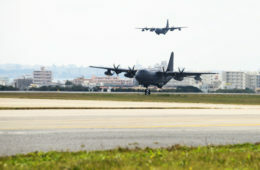 Then, discussions were able to be held about what to do next. 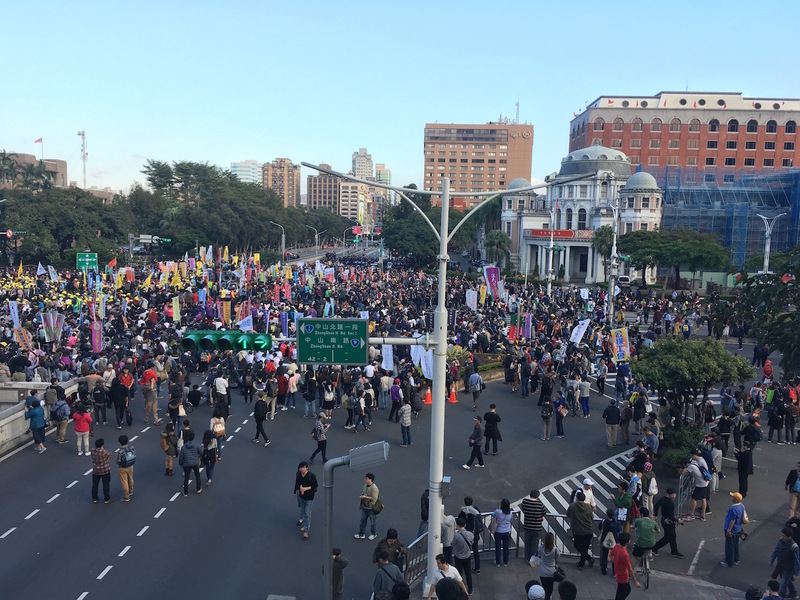 The three options contemplated by demonstrators were attempting to occupy Taipei Main Station, attempting to return to the intersection of Zhongxiao West Road and Zhongshan North Road, or attempting to return to DPP headquarters. 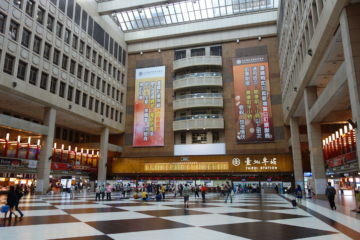 Attempting to occupy Taipei Main Station was ruled out because intelligence which came in stated that it was already full of police. And so the decision was haphazardly made by vote to return to Zhongxiao West Road and Zhongshan North Road. Yet this may have been the wrong decision. Zhongxiao West Road and Zhongshan North Road was also full of police, and police quickly surrounded demonstrators. 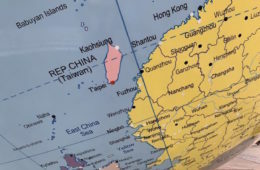 Demonstrators discovered a hole in the encirclement through a narrow set of alleyways and dispersed through them, with plans to meet outside of Taipei Main Station. 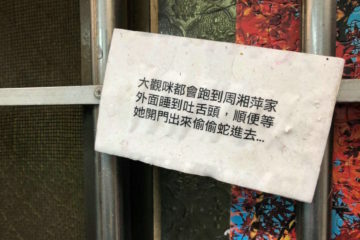 Three individuals were picked off by police and arrested in these alleyways, but the group regrouped outside of Taipei Main Station, and there were delays, but eventually everyone grouped by the east entrance of Taipei Main Station. However, the choice of Taipei Main Station as a regrouping point was also a bad one, Taipei Main Station having likely been chosen on the spur of the moment as the most recognizable landmark in the area, yet also being full of police. When demonstrators attempted to sit down again to discuss further steps, including whether they were out of options and should disperse, seeing as the protest had gone on for over ten hours at that point and people were tired, they were quickly surrounded by 200 to 300 police officers. 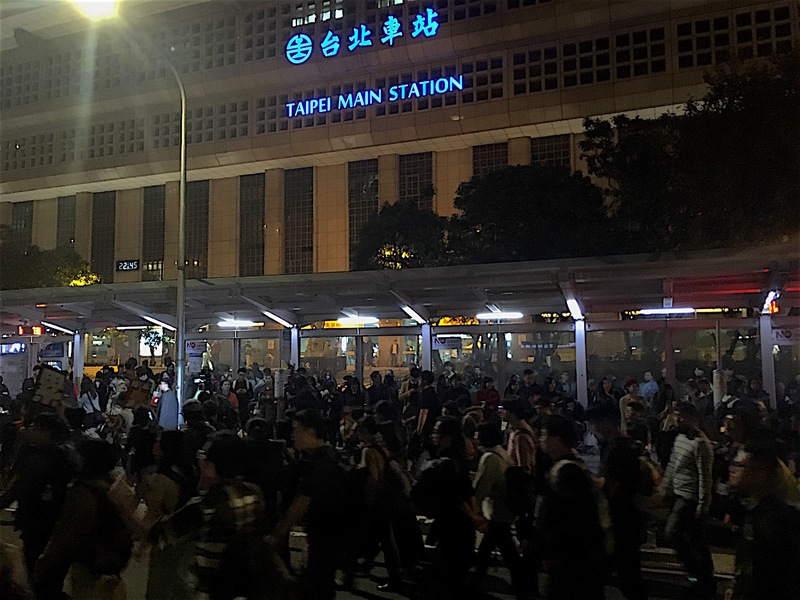 When riot police tried to force some demonstrators who had entered Taipei Main Station outside, the response was to push back, and some called for taking the subways as an escape route. But this was not successful and protesters were surrounded and dispersed between several concentric police encirclements. Demonstrators were subsequently kettled by police for over an hour, with police refusing to engage in dialogue, and refusing to state the legal grounds for refusing the freedom of movement of citizens. This was something that demonstrators claimed to be illegal and unconstitutional. Nevertheless, this was where the protest finally ended, with police dragging away protesters one by one until four police buses were filled by around 1:00 AM. Around 80% of participants were arrested. The conclusion of today’s protest, then, reminds of the last round of labor protests, in which those that refused to leave the protest into the deep night ended up being surrounded by police on Ketagalan Boulevard and dragged away onto police buses one by one, in the course of which an individual’s head was rammed into the glass of the bus and the glass cracked. Ultimately, a great deal of the protest after the crowd rejecting the attempt by Mao Chen-Fei to declare the protest to be over was shaped by the fact that there were no individuals who could take the lead for the protest after that. After that, organizers felt the pressing need to seek consensus from those present in order to prevent backlash. But this slowed down the ability of protesters to respond quickly to police actions, and this was what led to the kettling of demonstrators at the end of the night. But all in all, while it remains to be seen how widely media will report on such events, and how this will be perceived by society, today’s demonstration was of an intensity which has not been seen by the Sunflower Movement. 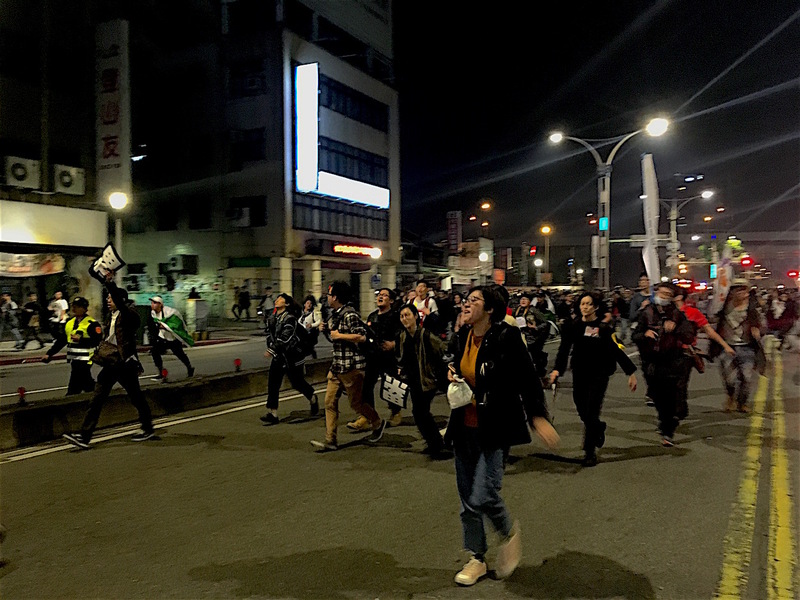 Apart from a failed attempt at a building occupation, three occupations of major intersections took place, and the protest wound its way through a large part of Taipei which does not normally see protests. Either way, even if premier William Lai largely shrugged off the protests today when asked about it in public comments, the Tsai administration should probably realize that protests around the issue will not go away anytime soon following today. 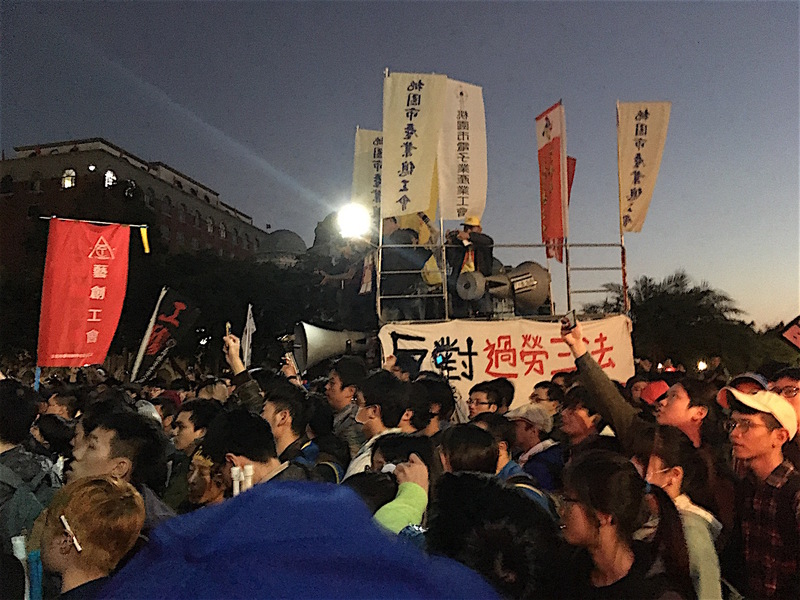 Prominent Sunflower movement activists were among those who participated in today’s demonstration, including Chen Wei-Ting and Wang Yi-Kai, who livestreamed the action, though they did not participate in the decision-making for the action. Beyond Chen and Wang, a large number of the youth activists present have been active since the Sunflower Movement. 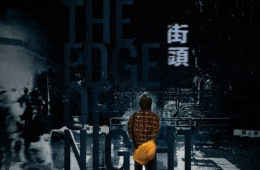 The intensity of the protest can be explained easily as originating from the willingness of Taiwanese youth activists take risks even if this means conflict with the police, as observed in the past during the Sunflower Movement. 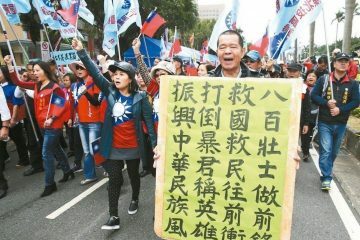 And the Tsai administration should know that labor issues are a core issue for post-Sunflower Movement youth activists, much as such activists may have seen the anti-media monopoly movement or protests against forced land evictions in Dapu, Miaoli, as important in the past. 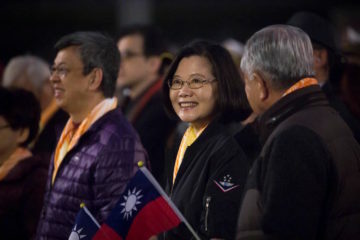 As such, demonstration will continue and likely escalate, in fact, until youth activists see the political responses they hope to see the Tsai administration. 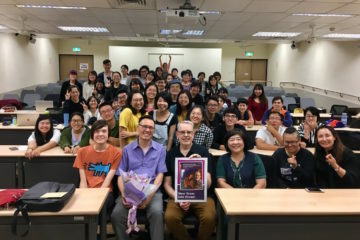 And seeing as Taiwanese youth activists did not, in fact, receive much media attention for the causes they participated in up until the Sunflower Movement, with much their actions being left out of mainstream media, Taiwanese youth activists seem likely to be discouraged by any initial lack of media attention, even if dramatic forms of protest will become increasingly difficult to ignore as time goes on. In this respect, Taiwanese youth activists will likely continue to demonstrate until they see the social responses they hope to see from Taiwanese society, as well.